Harmony is an older female that we acquired a few years back. She is a Captain Nemo daughter and a Peruvian Grazia granddaughter. She has given us 2 cria to date, both very nice. Her female offspring form 2016, Inca Hoots Chay'na out of Sculptor Alyst gets better looking every day. 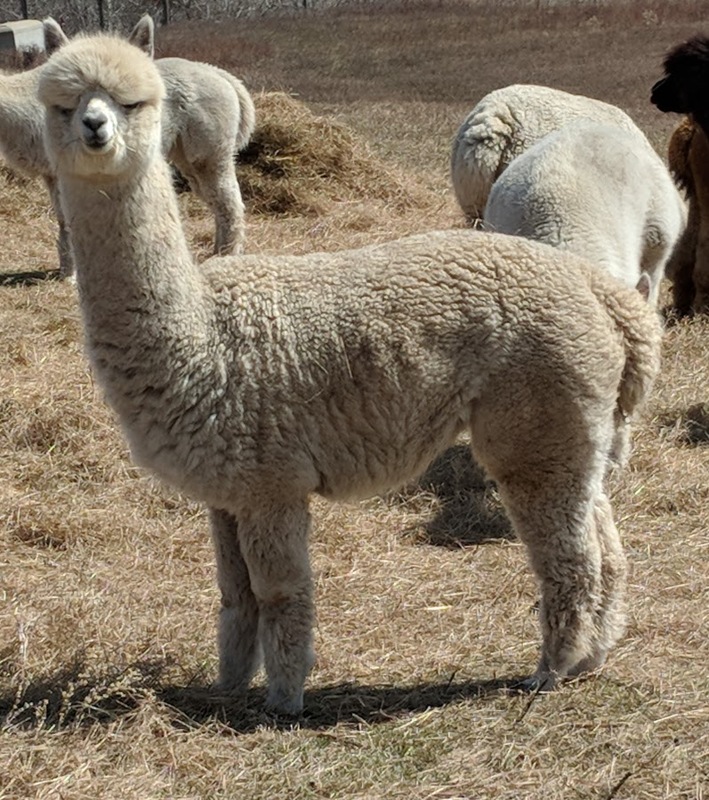 Her 2017 cria, Inca Hoots Chaupi, a Genesis offspring is a light male that catches your eye out in the pasture. Harmony is open and can be bred to a male of your choice.